This Deodor cedar (Cedrus deodara) located near the Arlington House dwarfs TreeSteward in it’s shade. Want a perfect way to combine your love of trees and honor our country’s heroes? 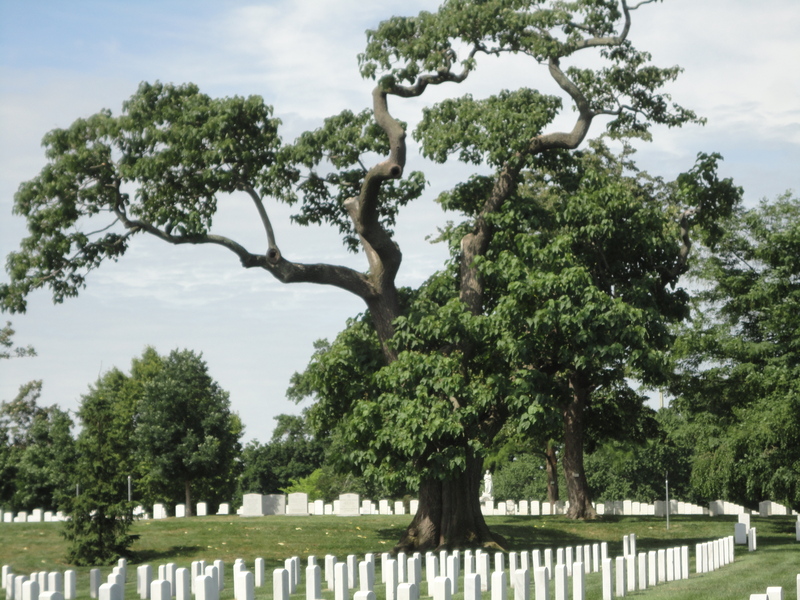 Take a tree walk on your own or with out of town visitors in the Arlington National Cemetery. There are more than 8500 trees throughout the 624 acres that provide shad and tranquility, and 140 are marked as memorial trees. Maps identifying the trees are available at the website at http://www.arlingtoncemetery.mil/docs/ANC_Memorial_Map_Trees.pdf. Labels identify the tree species and provide a history lesson. Trees and Heroes. Who can ask for more? This entry was posted in Education and tagged tree walks. Bookmark the permalink.